If you enjoy listening to music over the Internet – and who doesn’t? – then PLEASE pay attention and act on this important issue TODAY. 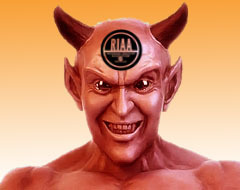 A new royalty structure, pushed for by the RIAA and announced on Monday March 5th, 2007 by the U.S. Copyright Royalty Board would immediately and dramatically change the way Internet radio stations pay royalties to music copyright owners. Currently royalties are a calculated as a percentage of revenues generated byt the station. The new structure calls for a fee per song, per stream. This would increase the amount charged by 1,000%, effectively killing the business. Every channel – no matter how few listeners it attracts – would be subject to a $500 minimum per year. Which seems pretty arbitrary to me. You can read more details Here. AccuRadio – Pick a micro niche and customize it, very cool. WTMD Our Local No-Commercial station- we’re lucky to have ti available over the air. We are also lucky to have WRNR sorry they don’t stream but I had to mention them too if I was going to plug WTMD.